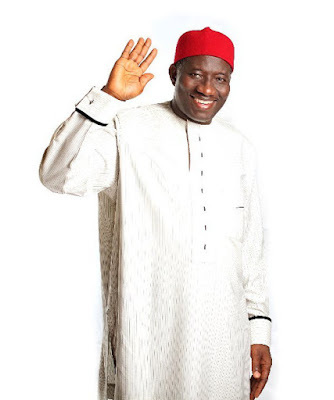 500 Witches and Wizards storms Abuja for Jonathan’s inauguration! The Witches and Wizards Association of Nigeria (WITZAN), has deployed 500 witches to Abuja and other parts of Nigeria to prevent any tragic occurrence and ensure peaceful inauguration on May 29. According to its national co-ordinator, Dr Okhue Iboi, the decision was taken after an emergency meeting at Zuma rock, Niger State. WITZAN also warned President Goodluck Jonathan to take adequate security as bad people and disgruntled politicians are planning to cause problems. He said it was revealed to the witches as far back as last year that no other candidate except Jonathan would rule the nation. The association which also predicted the failure of both former military president Ibrahim Badamosi Babangida and vice president Atiku Abubakar in their presidential quests also disclosed that Jonathan would serve his four-year tenure at the end of which Nigerians would be begging him to go for another term because he has been chosen by God to lead the nation. “Buhari should stop wasting his time because his time is past. He can never rule the nation again. His time is gone.” The incoming National Assembly will deliver. This is the time Nigerians will know that they have real legislators. “Some people look at us as if we are evil minded people. Not all witches are bad. Our own type of witchcraft is progressive. We are willing to intervene in the affairs of the country anytime the government decides to seek our counsel. We have the solutions to bring lasting peace to the country. Witches and wizards in the country are ready to help restore Nigeria’s lost glory.